The internet is a great place to start your college research, in particular, a college’s official website. Unfortunately, not all college websites are created equally, but there are some essential things that should be available to you, regardless of how aesthetically pleasing the site is. To help you avoid being sucked into the depths of the internet digging for info, here is a list of those essentials. Happy researching! Let’s be real, money can be a huge determining factor in where you will attend. Luckily, every college website will have a Net Price Calculator. This is a handy tool that will provide you an estimated out-of-pocket cost of attendance based on your family’s current financial situation. Some NPC’s are more comprehensive than others, so just be aware that the NPC shouldn’t be used as a substitute for applying for financial aid. If you are truly interested in a college, I highly recommend going through the entire admission and financial aid process to see what can be offered. This is extremely important! Regional accreditation is the gold standard that ensures the quality of education that you will receive. Regional accreditation status should be easily accessible on a college website. This accreditation is key because if you attend a school that lacks regional accreditation, you will not be able to receive any federal student aid, transfer credits elsewhere, or apply for certain professional licenses. Here is a helpful website to show you the regional accrediting bodies that you should be looking for. Check out when tours are offered, how you sign-up, what you can see etc. I 110% recommend visiting as many college campuses as you can (within reason). This will give you the opportunity to experience the campus with all of your senses and see if you can picture that campus as your alma mater. Chances are your tour guide will be a current student, so feel free to pick his or her brain about what student life is like. Feel free to ask all of the questions that you have; trust me, they’ve heard them all. Virtual campus tours are helpful when you are making your initial list of colleges to visit. If you absolutely can’t make it physically to a campus tour, definitely check out the virtual campus tour. Although it’s not the real deal, it will still provide good insight. If after the virtual tour you decide to put this college on your list, make sure to connect with an admissions counselor to talk about the application process and get all of your questions answered. 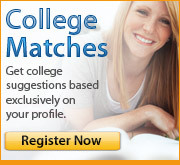 The first thing I would check out is a college’s admissions stats (average admitted test scores, GPA etc.) to see if this college would land on your “safety”, “target”, or “reach” list. Once you determine that a college is on your application list, take note of what the application requirements are and the specific deadline to keep you organized. Most websites will now have basic info available at a glance such as student population, student demographics, institution type, number of majors, most popular majors etc. This will give you a good idea of some of the basics about the college without having to dig through tons of webpages. This is especially important if you have a specific major in mind, like Forensic Science for example, that may not be offered at every college. If you are still deciding between a few majors, you want to make sure all the majors you are considering are available there as well because it’d be sad to fall in love with your college and then have to transfer later on because your major isn’t offered. Many colleges will have links to all of their social media accounts on their home page. Definitely follow them to get an inside scoop into campus life and the exciting things that are happening. A lot of times colleges will have specific hashtags related to their campus life so you will be able to browse posts from the perspective of current students. Do you want a job after college graduation? Do you want to go to grad school? Check to be sure the career center offers major exploration, resume critiques, practice interviews, internship placement services, grad school prep etc. The career center is crucial to help you gain experience while in college that will ultimately lead to full-time employment in your field, or admission to graduate school. Whichever college you attend, please, please visit the career center; I promise you it’s worth your time. At the end of the day, you want to graduate and be employed or admitted to grad school. You want a college that boasts a history of students doing just that. Graduation, retention, and employment rates are important stats that say a lot about the quality and caliber of a college. A college with stats that are less than impressive in these categories should raise a red flag for you. They also serve as a standardized metric to compare amongst colleges.